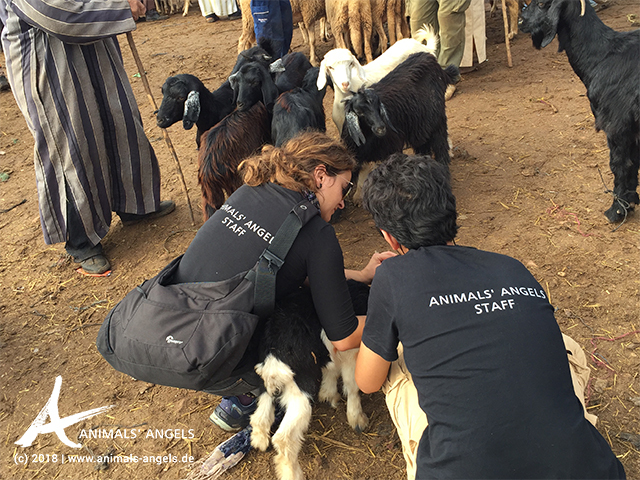 14-09-2018 Animal Markets Morocco Created by Animals' Angels e. V.
Animals‘ Angels takes action for the animals in Morocco. We support our moroccean team and their work at the markets. On Friday, we visit the market of Houderrane, about 2 hours by car from Rabat. The region is very poor with many small-scale farmers living from hand to mouth. 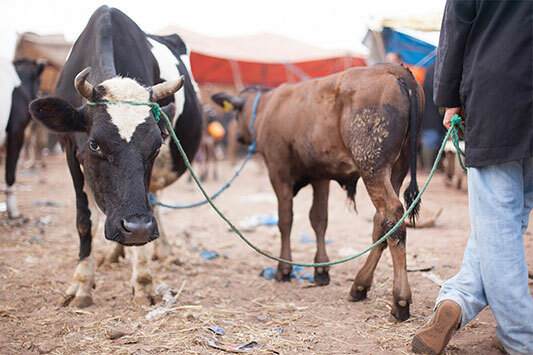 At the weekly market they meet to sell fruits, vegetables and also their animals. 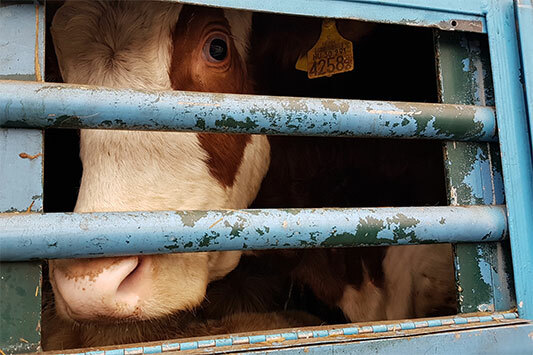 Though the people seem much friendlier and calmer here compared to those at the markets near the capital, the handling of the animals is very rough, and many are in miserable condition. The sheep and goats are tied-up at their necks and legs. 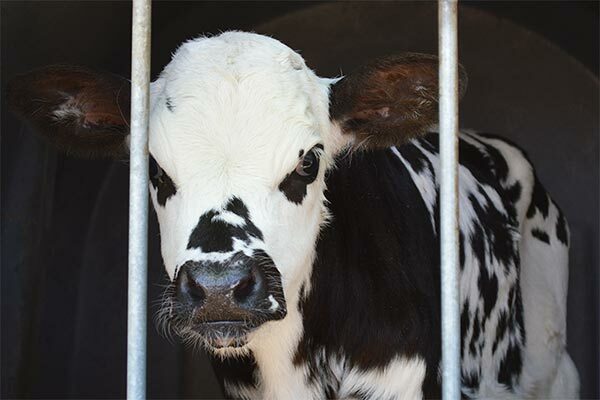 Many of them are emaciated, exhausted or suffer from skin diseases. Also amongst the horses and donkeys we spot many emaciated and hungry animals. Unlike in Rabat, most of them don’t have to pull any carts. But they often have to wear huge saddles with a load tied on top. We take off their saddles, apply first aid and give them water and treats like carrots which they visibly enjoy. We also talk to their owners and try to explain them how important it is to give their animals proper rest. Despite the long drive, we will try to again be more often with the animals of Houderrane, precisely because people here seem to be more open – and thus, hopefully, to achieve quicker improvements for the animals.